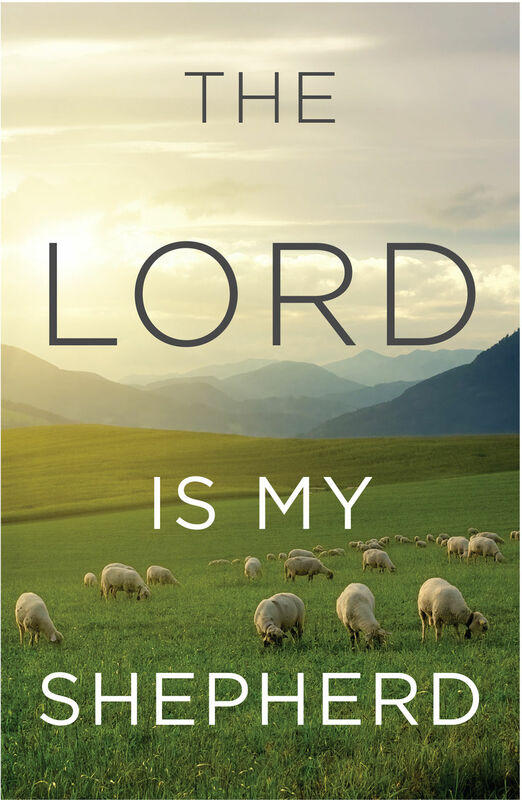 Quoting the 23rd Psalm, this tract explores what Jesus as the Good Shepherd means for a person’s eternity. The words of Psalm 23 have brought comfort to millions the world over. They tell of the Lord’s desire to refresh his people and of his faithfulness to guide them safely through all of life’s trials—and even death—to his heavenly home. Jesus Christ is the shepherd so beautifully described in this psalm. He said, “I am the good shepherd: the good shepherd giveth his life for the sheep” (John 10:11). Jesus gave his life for you and me, to pay for our sins. The Bible says, “All we like sheep have gone astray; we have turned every one to his own way; and the Lord hath laid on him [Jesus] the iniquity of us all” (Isaiah 53:6). Jesus calls us back to him, saying, “Come unto me, all ye that labour and are heavy laden, and I will give you rest” (Matthew 11:28); and, “I am come that they might have life, and that they may have it more abundantly” (John 10:10). Jesus died for us and rose again, forever breaking the power of sin and death. And now, seated at the right hand of the Father, he promises: “He that heareth my word, and believeth on him that sent me, hath everlasting life, and shall not come into condemnation; but is passed from death unto life” (John 5:24).